An ALF reboot is in the works at Warner Bros. The classic 80s sitcom is the latest TV series to possibly be making its way back to the airwaves as networks are exploring any and all options to try and get a leg up on the competition. As of late, that has involved reviving once-popular TV shows to give people something familiar to latch onto. In the case of ALF, this could do a lot for those who are prone to latching onto 80s nostalgia. ALF originally aired on NBC and the network has had luck by bringing back Will and Grace for a revival season recently. ABC also did very well with their recent Roseanne revival before that went south. The original ALF series centered on the Tanner family, who was portrayed as an average American family living in California. However, one day, they discover that they have a visitor in the form of a small, furry, arrogant alien from the planet Melmac who crashed into their garage. They decide to let him stick around and name him ALF, which stands for Alien Life Form. Throughout the series, they have to hide their new alien friend from a branch of the government known as the Alien Task Force. ALF is also notable for his love of eating cats. There aren't a ton of details available at the present time, but should the series move forward, it's expected that the story will center on a new family, with ALF coming back to Earth to continue his particular brand of hijinks in the modern world. Paul Fusco, the puppeteer who brought the show's title character to life, was a major fixture of the original series and is credited as one of the creators. It's unclear at this time to what degree, if at all, he's going to be involved in the reboot. The man inside the suit, Michu Meszaros passed away in 2016. The original series starred Max Wright as Willie Tanner, Anne Schedeen as Kate Tanner, Andrea Elson as Lynn Tanner and Benji Gregory as Brian Tanner. Despite having been off the air for nearly three decades, ALF has remained a staple in pop culture. Shows like The Simpsons, Family Guy, The Big Bang Theory and Mr. Robot, as well as movies like Guardians of the Galaxy and Hot Tub Time Machine, have all made reference to the alien puppet. The character has also been featured in commercials for companies like DirecTV and Radio Shack. ALF originally ran for 102 episodes from 1986 to 1990. 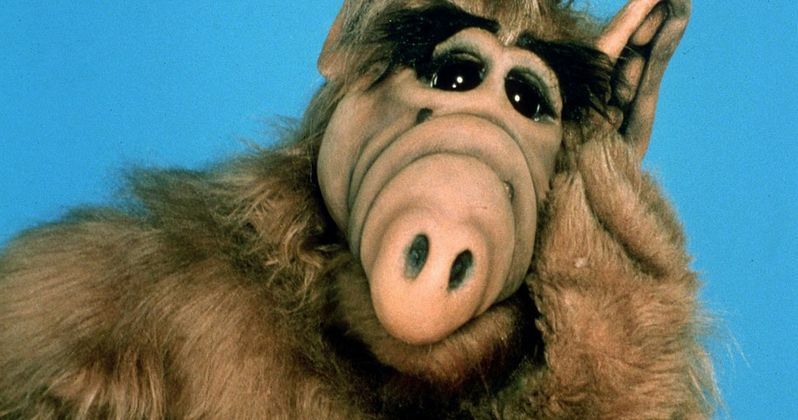 Though the studio has yet to officially comment on the news, Warner Bros. is reportedly in the process of looking for a writer to pen the ALF reboot. It's said they've been working on the new take since May, but without a writer on board it signals that the project is in the early stages, so it may be some time before we actually see anything come to fruition. This news was first reported by TV Line.